Maitreyabandhu's thematically varied debut collection includes poems of spiritual transcendence as well as meditations on love, memory and sexuality. Sometimes comic, often elegiac, the poems convey the pleasures and terrors of childhood as well as the mystical world of fable. Truthful, tender, and written with a kind of wonderment, the collection culminates in 'Stephen', an extended sequence of poems exploring a clandestine, and finally tragic, relationship between two boys. For Maitreyabandhu - a Buddhist teacher and member of the Triratna Buddhist Order for over twenty years - The Crumb Road is an image for the unreliability of memory, and for the vital thread of human value that connects us to the spiritual world. 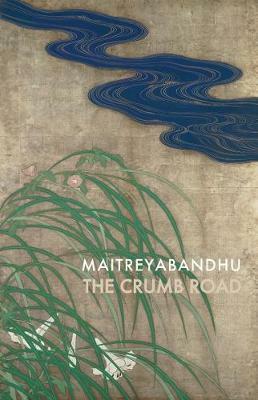 'Maitreyabandhu's work beautifully, and seriously, contains the possibilities of what other traditions might call insight' - Fiona Sampson, Poetry Review. 'Maitreyabandhu's poetry opens vistas. Reading his work is an unusual pleasure. He is a poet of journeys great and small - and the reader is privileged to be his companion' - Carol Rumens. Maitreyabandhu was born Ian Johnson in 1961, in Henley-in-Arden, Warwickshire. His parents ran a coach firm on the High Street. Initially trained as a nurse at the Walsgrave Hospital, Coventry, he went on to study fine art at Goldsmiths College, London, alongside Sarah Lucas and Damien Hirst. He started attending classes at the London Buddhist Centre (LBC) in 1986, and moved into a residential community above the LBC in 1987. He was ordained into the Triratna Buddhist Order in 1990 and given the name Maitreyabandhu. Since then he has lived and worked at the LBC, teaching Buddhism and meditation. He has written three books on Buddhism, Thicker than Blood: Friendship on the Buddhist Path (2001), Life with Full Attention: a Practical Course in Mindfulness (2009) and The Journey and the Guide, all from Windhorse Publications. In 2010 he founded Poetry East, a poetry venue exploring the relationship between spiritual life and poetry, and attracting many leading poets, including Jo Shapcott, David Constantine, Mark Doty, Don Paterson and Sean O'Brien. Maitreyabandhu has won the Keats-Shelley Prize, the Basil Bunting Award, the Geoffrey Dearmer Prize, and the Ledbury Festival Poetry Competition. His first pamphlet The Bond won the Poetry Business Book and Pamphlet Competition (2010) and was shortlisted for the Michael Marks Award. Vita Brevis, his second pamphlet, won the iOTA Shots Award (2011). His first book-length collection, The Crumb Road, was published by Bloodaxe in 2013 and is a Poetry Book Society Recommendation. His second collection, Yarn, followed in 2015. His third Bloodaxe title, After Cezanne, an illustrated meditation on the life and work of the painter, is due out in 2019.